Has it come to this so soon in our wondrous and new tech-driven world? YouTube apparently telling musicians on independent labels that they’ll have to remove work from the site if they don’t agree to unfair royalty terms. That’s the way it seemingly stands as YouTube prepares to launch a Spotify-like music streaming service sometime this year. Surely a movie streaming service from them will follow not too far behind. Will filmmakers get shafted too? We’ve witnessed, in the last eight years, the slow collapse of music, film and book distribution into new hands. Now, almost overnight, the new ruling class – i.e. YouTube, Amazon, Netflix – have begun to squeeze what they’ve got. YouTube and Amazon companies recently issued “my way or the highway” ultimatums. Sure it’s a familiar storyline for the business world, but these are new players and different arenas – ones that many hoped would be less evil and be smart enough to be all inclusive. Amazon stopped e-book sales and accepting pre-orders for books published by the Hachette Book Group because the publisher has refused the online merchant’s e-book sales royalty terms. Janet Maslin is a New York Times reporter who, for years reviewed films for the paper, writes about books. In her rave review of the new nonfiction title “Factory Man,” she points out that Amazon, the country’s biggest book seller, is not accepting pre-orders for the book or e-book orders as its July 15th release date draws near. 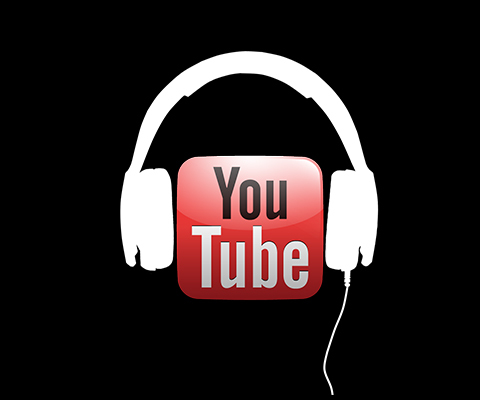 At the same time, YouTube has offered a more favorable royalty deal to major label artists while independent artists are threatened with the possible removal of their video content unless they accept an inferior sales deal. A battle is underway, though YouTube seems undaunted reporting that they have license agreements signed for 95% of the music content they want. Netflix oversaw a similar indie purge when independent filmmakers reported to Anthony Kaufman, of Indiewire, that unless their films reached some unknown quota of views, they would be no longer be welcome at Netflix. This in turn eliminated essential funding for some independent film companies. The new distribution models have even begun to make life more difficult for a filmmaker as well-known as Joe Berlinger (Brother’s Keeper, Paradise Lost, Some Kind of Monster.) He stated recently at the Sheffield Doc/Fest that the decrease in the cost of making a film has flooded the market with supply, and made it harder for people like him to make decent money selling his film to the marketplace. The present open, politely policed version of YouTube that many of us know and love, we now know, will be short-lived. For viewers, the site offers a free treasure trove of independent films and documentaries. This will likely change in the near future. YouTube has already created ways to purchase or rent some of this content, but a more onerous clamp down is surely coming. The Googles of the world (that read your emails in the name of advertising) are acting more like the huge corporations they are. This entry was posted on Monday, July 7th, 2014 at 4:04 pm	and is filed under Featured, Film Business, Home Featured One. You can follow any responses to this entry through the RSS 2.0 feed. Both comments and pings are currently closed.